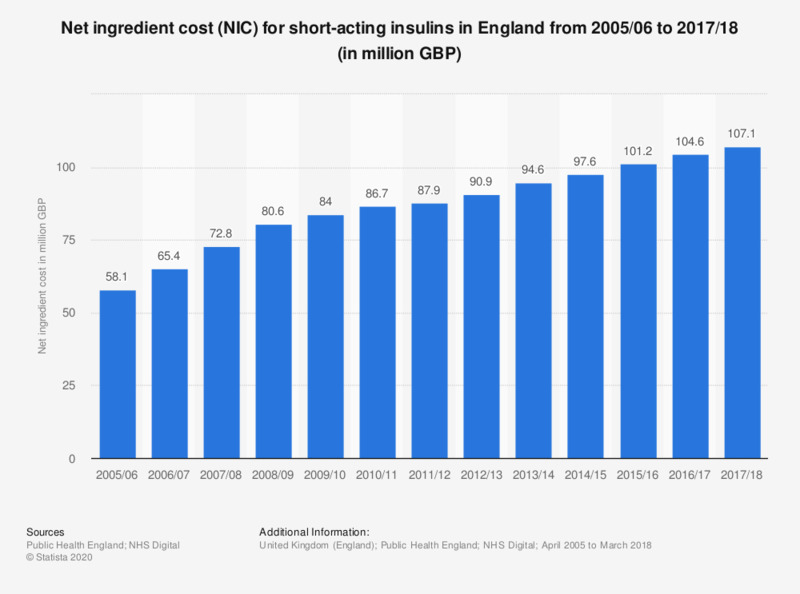 This statistic displays the net ingredient cost (NIC) for short-acting insulins in England from 2005/06 to 2017/18. In 2017/18 the NIC for short-acting insulins was 107.1 million British pounds which is the highest value since 2005. Which, if any, of the following measures do you think food manufacturers should take to help people eat more healthy? Do you know which segment of the population is most likely to develop diabetes?